Have a question for Hilton Grand Vacations on the Boulevard? "We enjoyed our stay and would go back." 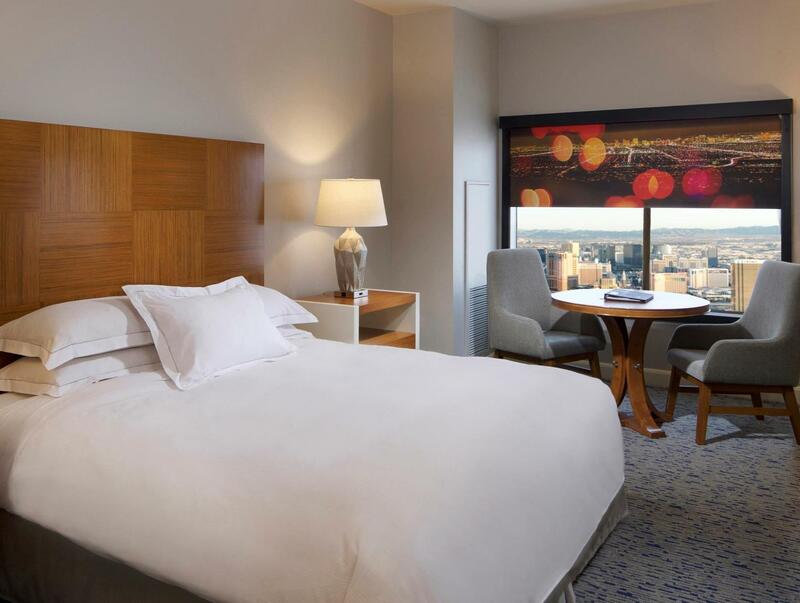 This idyllic resort destination features more than 1200 rooms and suites all featuring the famous King size Hilton Suite Dream Serta mattresses. 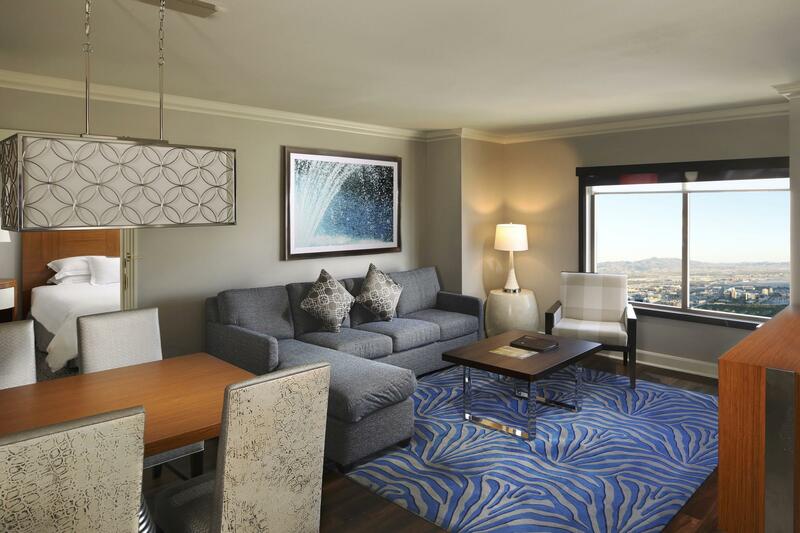 Located on a ten-acre site on the north end of the famous Las Vegas Strip, all the glitz and glamour of the famous area are literally right out the front door. Relax for lunch out near the massive swimming pool at Waves Pool Bar and Grill, or order deluxe deli sandwiches out of the Marketplace Deli. 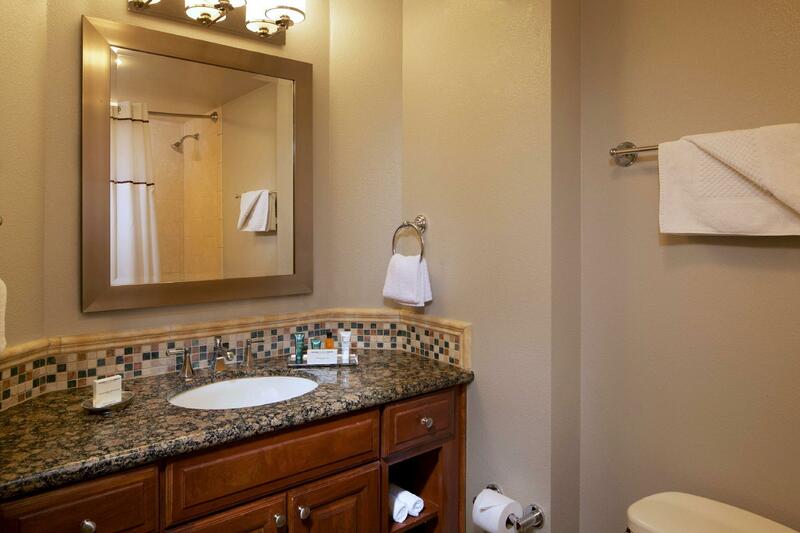 There are a plethora of nearby dining and shopping including Fashion Show Mall and the Las Vegas Premium Outlets. Don't forget about casinos (as if guests to Las Vegas would,) and getting to any of the famous massive casinos is just a stroll down the road. 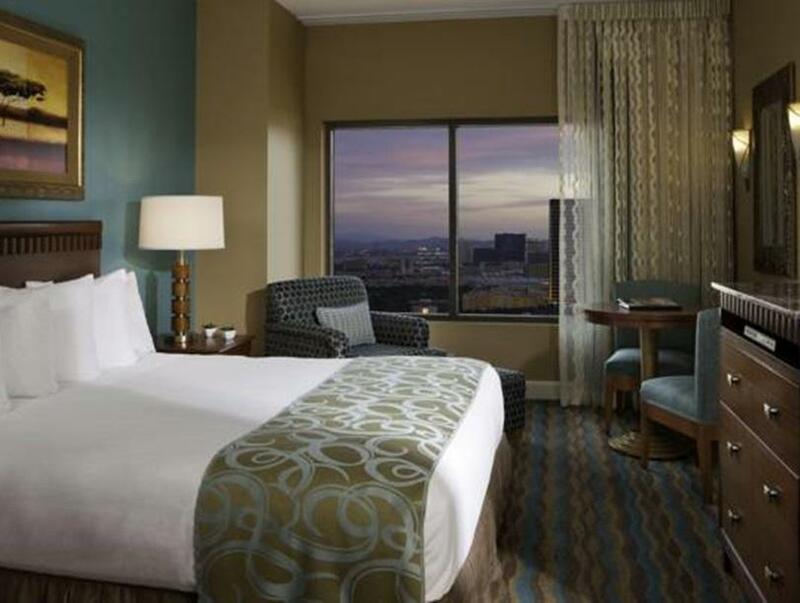 A relative bargain on the strip, Hilton Grand Vacations Club On The Las Vegas Strip Hotel, is a great way to enjoy the fun of Vegas without emptying the bank account. 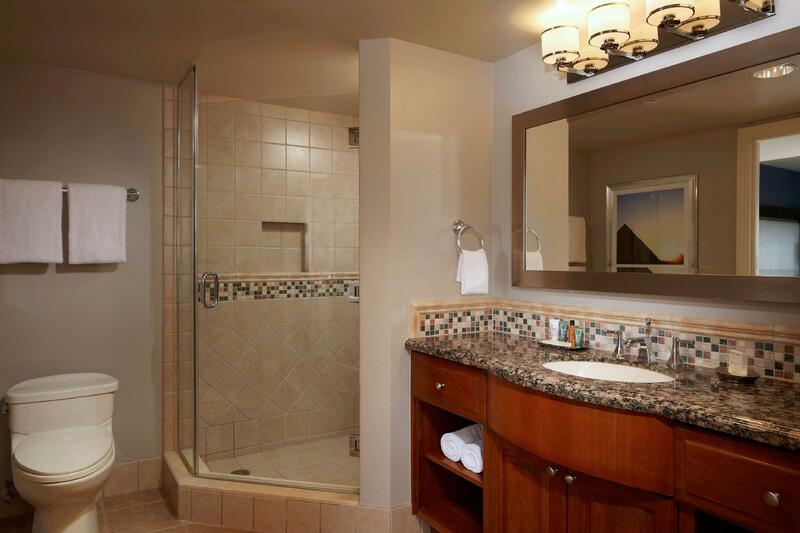 "This is a great place to stay with kids in Vegas." 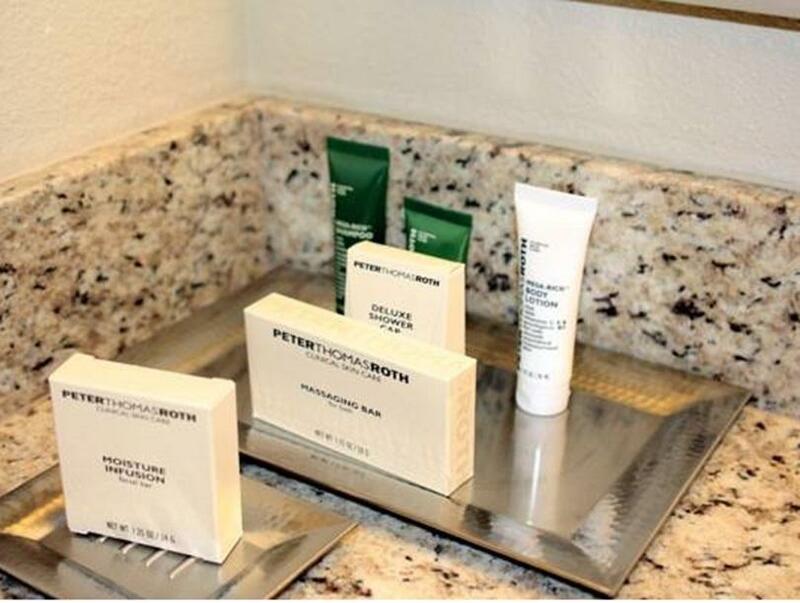 Additional amenities will be subject to additional charges. This is a great place to stay with kids in Vegas. There is no casino in this hotel. Which makes it family friendly. We enjoyed our stay and would go back. The Hotel should have shuttle bus service for traveler to go to the Strip. Choose to stay at the Tower 2 which has been renewed and is much cleaner. The carpets in tower 2 are new and part of the rooms are floored with wood. We found a bed bug in a room in tower 1 and therefore asked to be moved to the renovated tower. We subsequently machine-washed all our cloths in hot water before departing. Very convenient for when traveling with kids, the kitchen makes a very big difference. Free complimentary water was great, we got soaps for dishes, and washing machine soaps were also free. The Hotel was good. It would be even better if the Market Place staff were a little friendlier. Room was very far from the elevator. First room they gave us reeked of cigarettes even though it was a no smoking room. There are nicer hotels that are closer to the strip because this hotel is quite far from getting to the main part of the strip. Took one night out of our 2 weeks in Vegas to stay at this location to celebrate a special event. From the minute that we checked in until the time we left the total experience was nothing less than amazing. The staff went out of their way to make us feel at home and even the time share sales guy understood that we were only going to be staying for one night and was not pushy in booking us in for a presentation. The worst part about this hotel was having to leave...lol. The property was one of the best that i have stayed in and I have stayed in more than my share. The staff went above and beyond and the room was the standard of a New York 2 bedroom apartment. Everything was there in the kitchen and it made the stay with children very comfortable. Unfortunately it is a long long way from the bright lights of Vegas. Yes the property is on the strip but to get to Treasure Island it would be a 40 minute walk. As we had three children it was not possible to walk 40 minutes there, walk all day and then walk 40 minutes home. This meant that we had to get taxis which in itself was ok but as we are a family of 5 finding a taxi that can take 5 people is difficult. Also if we needed to get back to the room in the middle of the day because the one of the children needed to we could not. SO we had to carry everything that we needed for the day every day. We picked this hotel because it is one of the few non smoking hotels in Vegas and it is close to Circus Circus. On a map it looked like the right hotel for us. But in reality it was just tooooooo far away. I would not stay there again. Property as perfect for our needs - close enough to the Strip, yet far enough away so as not to be too crowded or too noisy. Great facilities and the built in washer & dryer ideal for us to catch up with our laundry (had been on the road for a few days when we arrived here). Fantastic rooms. 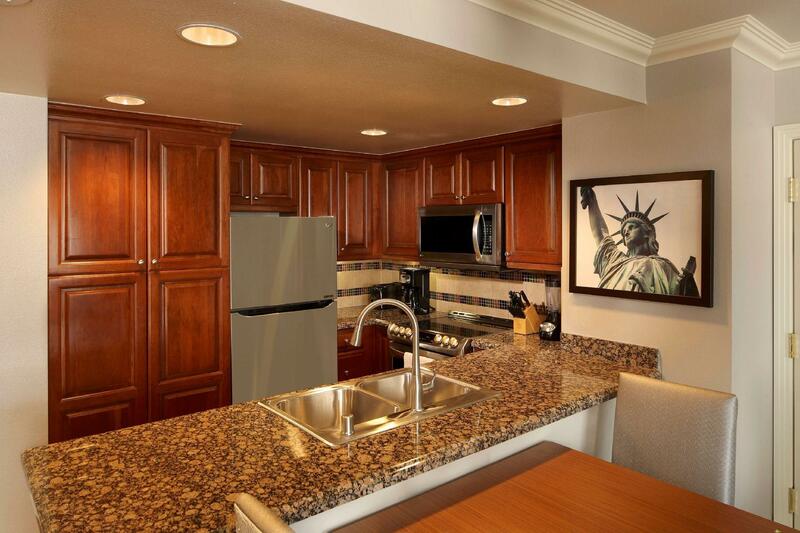 Full kitchen, very comfortable beds right between the new strip and the old strip. I had an email from front office manager offering me a room upgrade but it wasn't honoured when presented. They don't have a restaurant, but have an small grocery-type shop that sells most essentials including pizza, sandwiches, cakes, etc. Free and fast wifi. At the end of the strip (not so convenient) but still within the strip's landmarks.